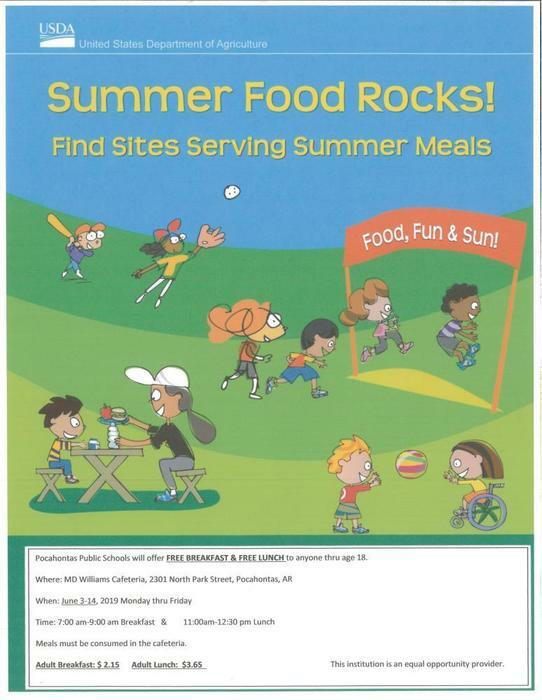 Pocahontas Public Schools will be offering Summer Meals! See flyer for details. The softball game that was to be played on Friday, April 19, against Tuckerman, has been cancelled. Good morning. Please be advised. The Duck bus will be double routed this afternoon and will be delayed approximately 30 minutes. Thank you and have a good afternoon. Pocahontas Schools will be on regular schedule tomorrow, November 16, with regular bus coverage. Due to current weather conditions and expected additional snowfall over the next couple of hours, PSD will be closed tomorrow and conduct an AMI day. The Duck bus will be delayed 30 minutes this afternoon due to the need to double route. Both the Duck & Car bus will be delayed 30 minutes this afternoon due to the need to double route. Both the Car &the Duck buses will be delayed 30 minutes due to the need to run double routes. Both the Duck & Car buses will be delayed 30 minutes this afternoon due to the need to run double routes. The PHS Cheer Clinic performance planned for tonight’s game has been rescheduled for next week’s game due to tonight’s inclement weather. Both the Duck & Car buses will be delayed 30 minutes this afternoon due to the need to double route two routes. This Duck bus will be delayed 30 minutes this afternoon due to the need to run a double route. The Duck bus will be delayed 30 minutes this afternoon due to the need to run a double route. The Car bus will be delayed 30 minutes this afternoon due to the need to run a double route. Please call central office if you have questions. The Duck & Car bus routes will both be delayed 30 minutes this afternoon due to the need to run double routes. Due to a shortage of bus drivers this PM, the Duck bus route will be delayed approximately 30 minutes this afternoon. Please call the central office with questions. Pocahontas SD and Randolph Co. Health Dept. will collaborate to offer immunization updates to students. We will continue to monitor the weather between now and dismissal as we are under a severe thunderstorm watch. We will notify parents if there are any delays in dismissal times. Good morning. We may have a few issues this morning with bus routes due to the amount of rain we received last night. Please call 892-0196 if you have any questions regarding your child’s bus coverage. We are excited to announce the addition of two more SORs for the 18/19 school year! 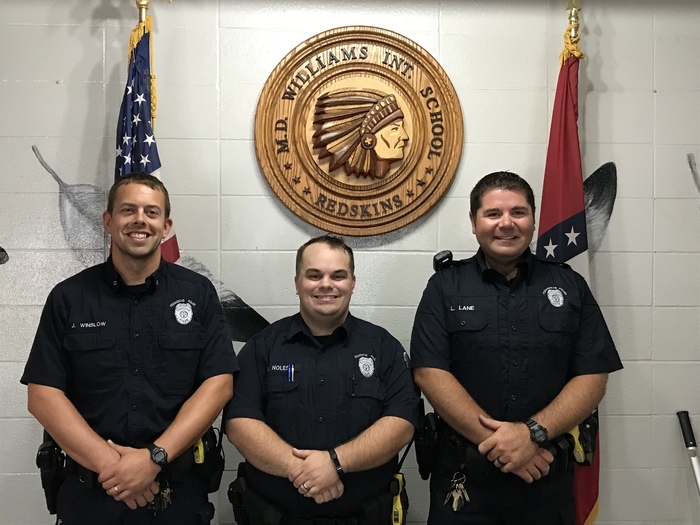 We will now have coverage at Alma Spikes Elementary & two officers on the main campus. We are looking forward to seeing our students and parents this week at our beginning of year orientation nights! A schedule is attached. We continue to monitor the forecast, looks like a possible shower around 6 PM to 6:15 PM then moving out. 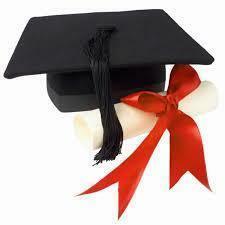 Plan is still to be outside for tonight’s graduation ceremonies at 8 PM. Due to having to double up on some bus routes this afternoon, The Overflow and Duck bus will be running approximately 30 late. Due to a non-school related accident, Hwy. 67 North is currently closed near Current River Bridge and traffic to Biggers is being re-routed through Maynard. Therefore, the Rabbit bus will be delayed arriving at Biggers this afternoon. Today's baseball game against Nettleton has been cancelled. Today's baseball game against Valley View has been cancelled. Tomorrow's game against Riverside will be played at Riverside beginning at 4:00. Due to a change in the forecast, today's baseball game start time has been moved up to 4:00. 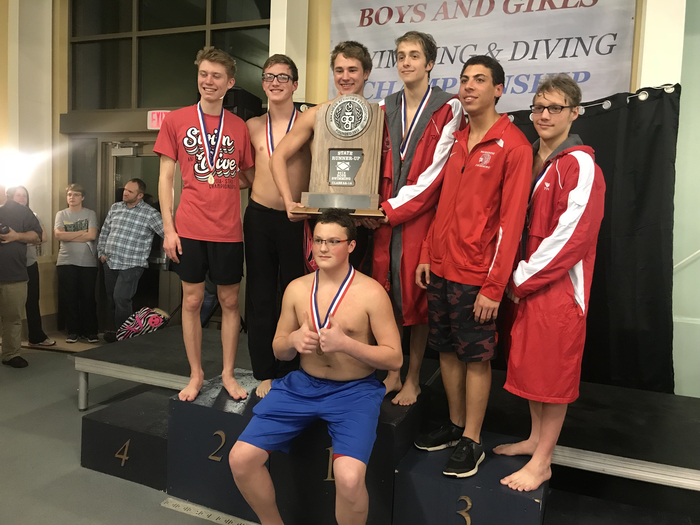 PHS Boys’ Swim team finishes State Runner-up in today’s state meet in Bentonville!! Great job guys! The regular February board meeting will begin at 7:30 p.m. on February 19th in the JH Library. The schedule for Friday night’s games vs Highland will now be as follows: 545 PM recognition of Srs & Parents then SG & SB games. 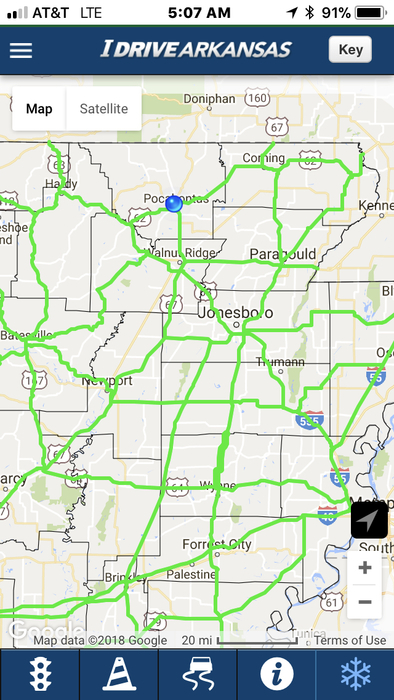 We have checked bus routes & I-Drive AR looks good. We are in session today, regular time and regular bus route coverage. Games scheduled for tonight vs Highland will be played Friday beginning at 4 PM; 7G, Sr JV Boys, SG, SB. Tonight’s basketball games vs Highland have been postponed due to the Winter Weather Advisory beginning at 6 PM. Make-up date & time TBD. Tonight’s schedule of basketball games vs Corning will start at 5 PM and we will play three boys’ games; 7th, Jr & Sr. There will be no girls’ games tonight. Outstanding performances today by our PJHS & PHS Quiz Bowl Teams at the Brookland Invitational! PJHS finished 2nd & PHS 3rd against excellent competition. Great job by all! We will run two delayed routes this afternoon, the Duck bus & afternoon overflow route. Both routes will run approximately 30 minutes late. Pick ups for students riding the Flower bus will be delayed this morning. Please be advised, pickups for those students riding the Flower bus will be delayed this morning due to a shorage of drivers. 51 Pocahontas students 7-12 made All-Region bands. TEN have qualified to audition for All-State. Congratulations! The JB/SB/JG/SG basketball games originally scheduled for 1/12/18 vs Corning will be played on 2/2/18 beginning at 4 PM in Schoonover Fieldhouse. Pocahontas Schools will be in session tomorrow (1/17/18), regular schedule, regular bus routes. Due to slick road conditions across district bus routes, Pocahontas Schools will be closed tomorrow (1/16/18) and conduct AMI Day #1. Due to our Winter Weather Advisory & uncertainty of travel conditions, this evening’s basketball games vs Piggott have been postponned. Pocahontas Schools will be in session today, regular schedule, regular route coverage. 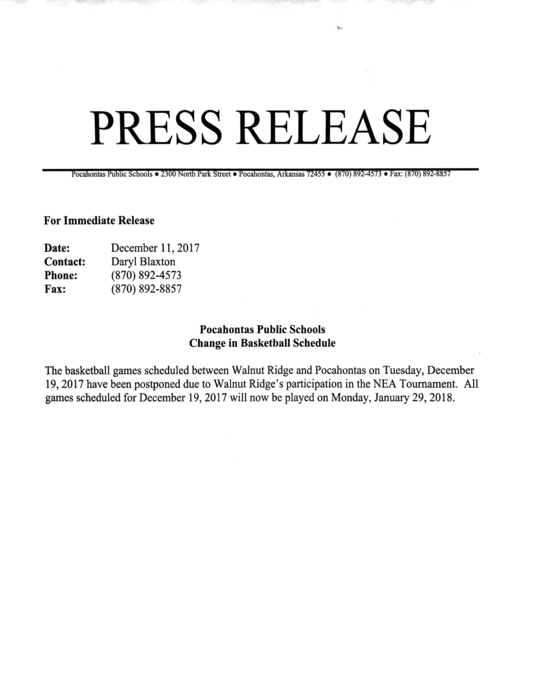 There has been a change in next week’s basketball schedule per the information shared in the attached press release. The Flower bus has had some mechanical issues and is returning to the lot to switch buses. The route will be running late this afternoon. The Giraffe bus is running about 30 minutes behind this PM due to a mechanical issue that required a bus change. Homecoming shirts will be on sale from 9/11-9/20 and may be purchased from Mr. Phelps in Study Hall or during lunch from the gym concession stand. 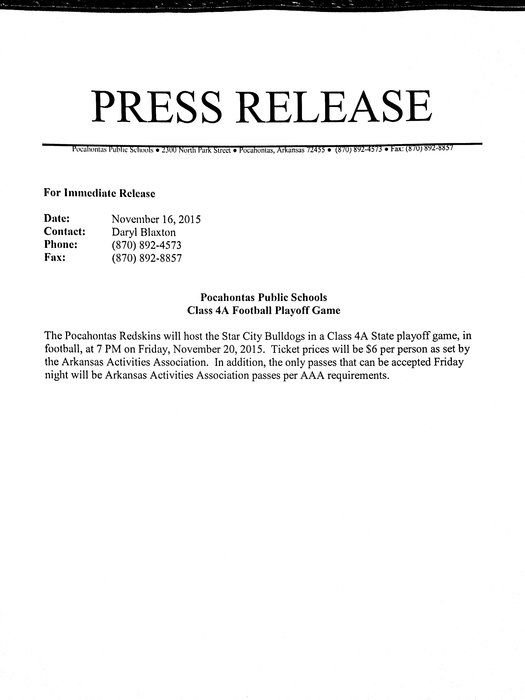 Pocahontas Public Schools will host AAA FB benefit games this week. 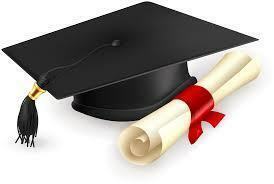 Watch the graduation of the 2017 senior class streaming live at https://goo.gl/AmjH92 this Friday starting at 8:00pm. Watch the graduation of the 2017 senior class streaming live at https://goo.gl/AmjH92 starting at 8:00pm. Pocahontas High School is happy to welcome the BRTC LPN to RN program to our Business Center. Glad we could help. The Fish, Flower & Pine Tree buses will all run modified routes east of the Black River bridge tomorrow. Please call 892-0196 w/questions. We will assess all three routes for safety prior to reopening points east of the Black River bridge. We will provide a status update regarding route coverage of the Fish, Flower & Pine Tree buses for Monday on Sunday afternoon. The Flower, Fish & Pine Tree buses will continue to run points west of the Black River bridge only, tomorrow. With the reopening of Hwy 67 N from Pocahontas to Corning, the Rabbit bus will run to Biggers & other points east of Current River tomorrow. Congratulations Lady Skins! Class 4A State Champs!! Our goal in the coming days will be to ensure the safety of students and staff while remaining open, if possible, just as we did in 2011. We know that many parents need us to be in session and their students in school. In addition, we know that some students will not be able to attend due to flood waters and we will work with them on missed assignments. Please contact our transportation department with specific questions regarding route coverages. Students who are unable to attend due to flooding or lack of bus coverage will be excused and we will assist them in their making up of any missed assignments. PSD will be in session Tuesday, May 2nd. However, we will not run buses east of the Black River bridge due to its potential closing at some point tomorrow. If you live in East Pocahontas and are affected by the current evacuation we ask that you contact your child's school, when possible, if we need to make alternative arrangements this afternoon regarding transportation of your child. The district remains in close contact with local and state authorities regarding river levels and the potential for additional road closures. We do not plan to close early at this time but parents may pick their children up early if needed and they wish to do so. The 4A State Track Meet scheduled for tomorrow at Pocahontas has been moved to Paragould due to the forecast of rising flood waters. The Flower, Fish, Pine Tree and Turkey buses will definitely run modified routes tomorrow. PSD will be in session tomorrow. Some buses will run modified routes due to flooding. Please contact our transportation dept. with specific questions. Any school buses that cross the Black River bridge may be delayed to a non-school related accident on the bridge. Parents may contact the Transportation Department if they have questions. The softball game scheduled for today, April 24, against Hoxie has been cancelled. The baseball game against Rivercrest that was to be played today, April 21, has been cancelled. There will be a baseball game at Walnut Ridge on Monday, April 24, at 4:00. The softball game against Hoxie that was scheduled to be played today, April 21, has been rescheduled for Monday, April 24, at 4:00. The time for the softball game to be played today, April 20, against Highland has been changed to 3:30. The baseball game that was to be played on Thursday, April 20, will now be played on Wednesday, April 19, at 3:30. The baseball game that is to be played today, April 18, against Walnut Ridge will begin at 4:00 instead of 4:30. The game against Rivercrest on Monday, April 17 has been cancelled. The baseball game against Rivercrest on Friday, April 21st WILL be played at 4:30 as a scheduled makeup game. The game against Riverside that is to be played Friday, April 14th, will be a home game that will begin at 12:00. Also the game against Rivercrest on April 21st has been cancelled. The baseball game that is scheduled to be played today, April 4, against Piggott will be played at Piggott. The Redskin baseball games against Melbourne will be played at home today beginning at 4:00. The softball games that were to be played today, March 29, against Melbourne have been cancelled. The baseball game that was scheduled to be played today, March 29, against Melbourne has been cancelled. Baseball games today, March 28, will begin at 4:00. Also, the baseball games scheduled to be played on Thursday will now be played on Wednesday, March 29, at 3:30. The baseball game that was to be played today, March 27, at Westside has been cancelled. The baseball game that is to played today, March 27, against Westside will now be played at Westside at 5:00 pm. The softball game that was to be played today, March 27, against Harrisburg has been cancelled. The softball game against Melbourne that was to be played on Thursday, March 30, has been changed to Wednesday, March 29. The time for today's baseball game at Brookland has been changed to 4:00. The softball game that was to be played today, March 14, against Cave City, has been cancelled. The baseball game that was scheduled to be played today, March 14, will now be played tomorrow at 3:30. The Peco Foods Track Relays that were to be held this week have been moved to March 28th (JH) and March 30 (SH). The softball game that was to take place today, March 13, against Westside, has been cancelled. 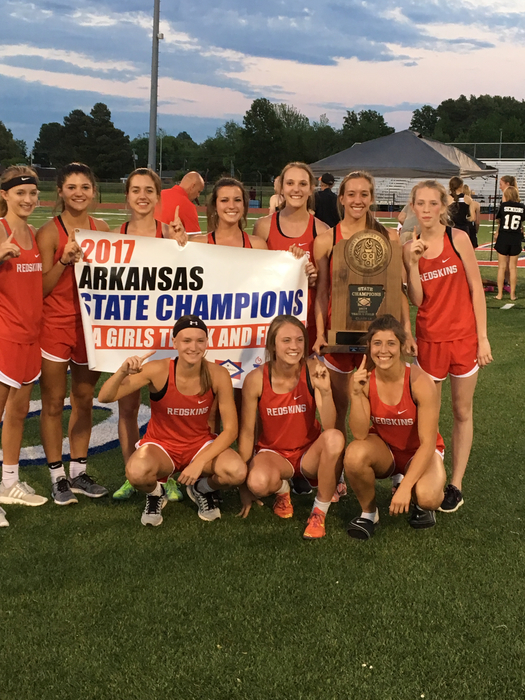 Due to Arkansas Activity Association copyright agreements with the video streaming of the state finals, games may only be video streamed by the National Federation of High Schools Network. Individuals who are unable to attend the game in person may watch the finals at the following site: www.nfhsnetwork.com. The Redskin baseball game on March 9 against Piggott will now be played at Pocahontas at 4:00. The Redskin baseball game that was to be played today at Melbourne has been rescheduled for March 13 at 4:30. The Redskin baseball game that was to be played at Melbourne today, March 7, has been cancelled. The JH Track Meet at Pocahontas that was scheduled for today, March 7, has been cancelled. 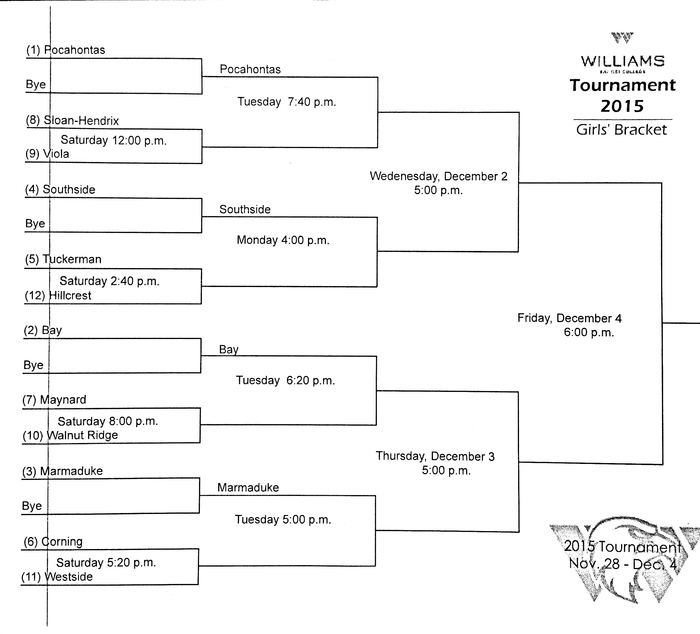 Pocahontas HS will host the 4A-3 Conference basketball tournaments this week. Come see some great basketball. 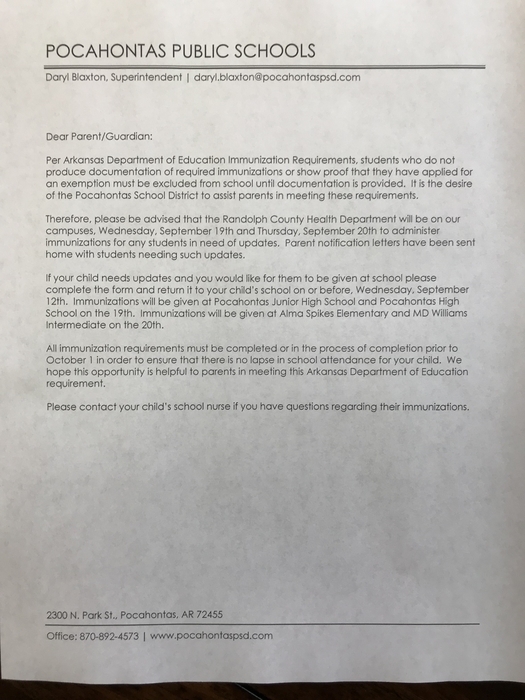 The Pocahontas School District has been notified today, by the Arkansas Department of Health, that a high school student in the district has a confirmed case of the mumps. The district will work in collaboration with the Department of Health to provide information and guidance to parents regarding the virus. Per instructions from the Health Department, a letter will be sent home to parents of high school students and/or parents of students who ride the same bus as the student with the confirmed case of mumps. This letter will provide specific information and guidance to parents. The primary goal of the district is to ensure the health and wellness of our students and staff. Parents may contact their child’s school nurse with specific questions related to their child and/or the virus. The boys and girls basketball games to be played on Thursday, February 2, at ICC have been canceled. Jr/Sr Boys Basketball @ Corning has been changed from Thursday, Jan. 12 to Friday, Jan. 13 beginning at 4:00 pm. Boy's basketball games, between Pocahontas & Hoxie, to be played tonight @ Hoxie have been postponed and will be rescheduled. Pocahontas Schools will be closed today due to current weather conditions. The regular October Board meeting has been moved to Tuesday , October 18, and will take place in the District Meeting Room in the High School Business building. The meeting will begin at 8:00 p.m. The 7th Gr. and Junior B volleyball games at ICC on Thursday, September 29, have been cancelled. All other scheduled volleyball games will be played. The Junior Varsity football games that were to be played on 9/26 and 10/3 have both been cancelled. The 7th grade and Jr. B Volleyball game against ICC has been cancelled. 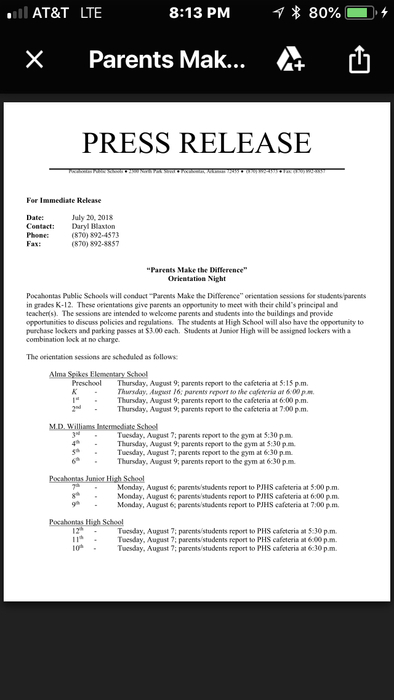 All forms for the shots that will be given at Pocahontas High School and Junior High by the Health Department must be turned in Monday morning. Our phones came back online around 1:30 pm today. Thank you CenturyLink! Having some phone issues this morning. Inbound calls get a busy signal. Please hang tight while CenturyLink works to resolve the issue. To access the Home Access Center-Click Explore on our website, select your school, Click Explore again. Listed under the Parents header. 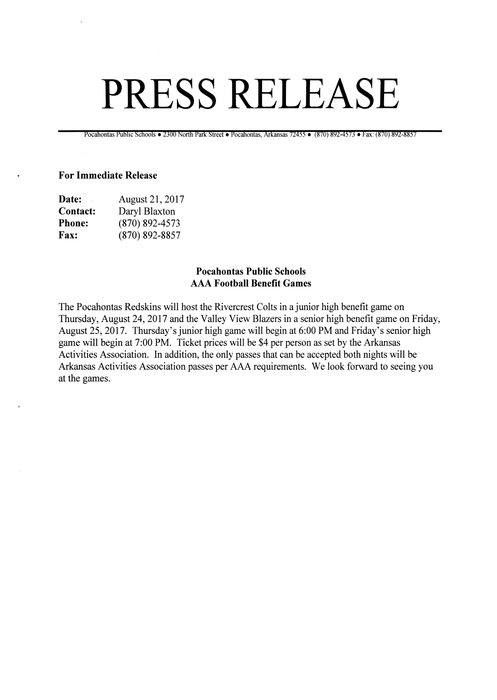 Pocahontas Redskins will host Blytheville Chickasaws in AAA Benefit games on Tuesday, August 23, 2016. JH game @ 5:30 pm and SH game @ 7:30 pm. Tickets -$4.00 per person. Only AAA passes can be accepted per AAA requirements. Thank you PSD staff and parents for your collaborative efforts towards making the first week of the new school year a positive one for our students! We hope each of them has a great year! A fiber optic line has been cut in our area and is causing us to experience outages with our phones. We hope to have this resolved soon. Please be advised, Pocahontas Public Schools and local responders are currently conducting an emergency response drill. The activity on campus is a drill and not an actual emergency. PSD Campuses closed this afternoon. Emergency Response Drill in Progress. Our phone system is temporarily out of service for maintenance. Service should be restored before 12:00 p.m. today. Happy Father's Day from all of us at the Pocahontas Public Schools! The 2016-2017 yearly calendar has been posted here: http://5il.co/9dn It is also located under the "Explore" menu on our website. The Pocahontas School Board of Directors meeting will be Thursday, April 28, 2016, in the District Meeting Room at 8:00 pm. Today's baseball game at Corning will be 1 7-inning varsity game beginning at 6:00 pm. The softball game against GCT that was to be played on Friday, April 16, 2016, has been cancelled. The regular monthly Pocahontas School Board meeting has been rescheduled and will take place on Thursday, April 28, 2016, at 8:00 pm in PJHS Library. Peco Food Sr High Track Relays that were scheduled to take place today have been rescheduled for Monday, April 4, at 3:30. Today's softball game against GCT has been cancelled. Today's varsity game at Nettleton and JV game vs. Corning have both been rained out. No makeup dates have been determined. 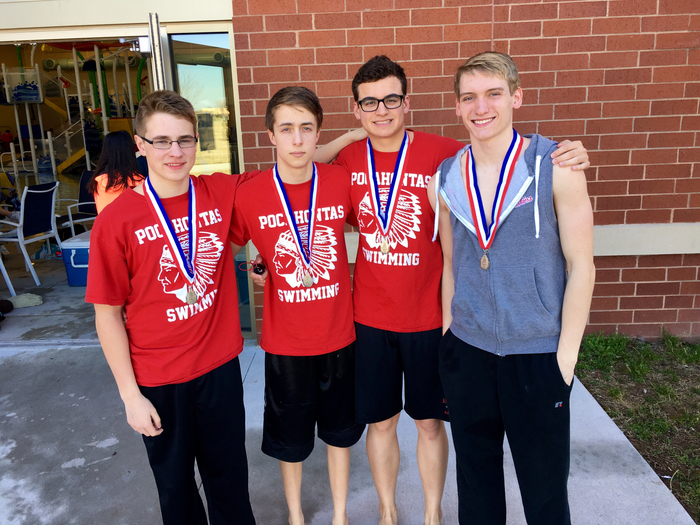 Proud of our PHS men's swim team on their 3rd place finish in the 1A-5A division of today's state swim meet! In the final event of the day....a second place finish in the state 1A-5A division 400M freestyle relay! 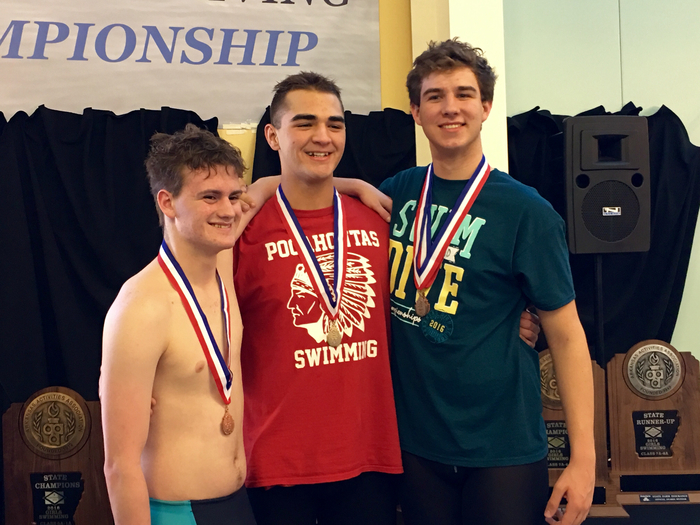 Dalton Woods is the Arkansas state champion in the 100M backstroke! 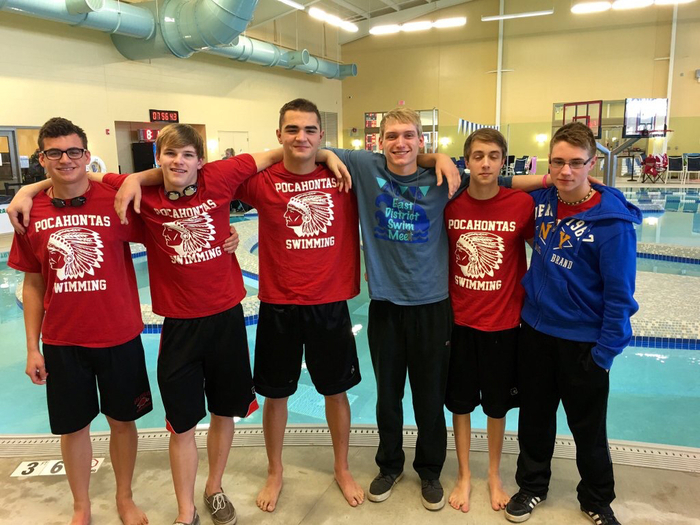 PHS swimmers are having an outstanding day! 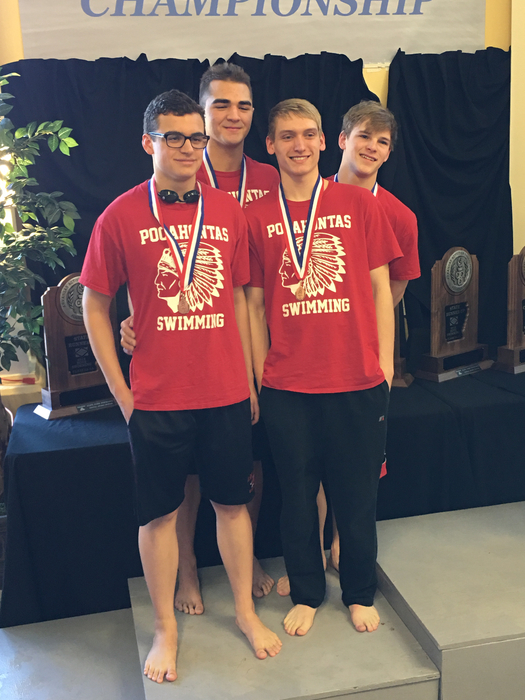 Second place finish in 1A-5A state 200M freestyle relay! Congratulations Cody, Calvin, Noah & Tre! 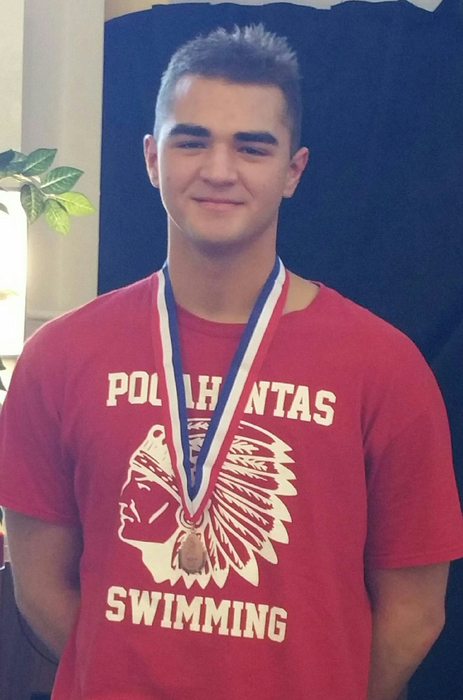 Men's 100 fly Bronze state medalist with new personal best and PHS school record of 54.66! Congratulations Dalton! 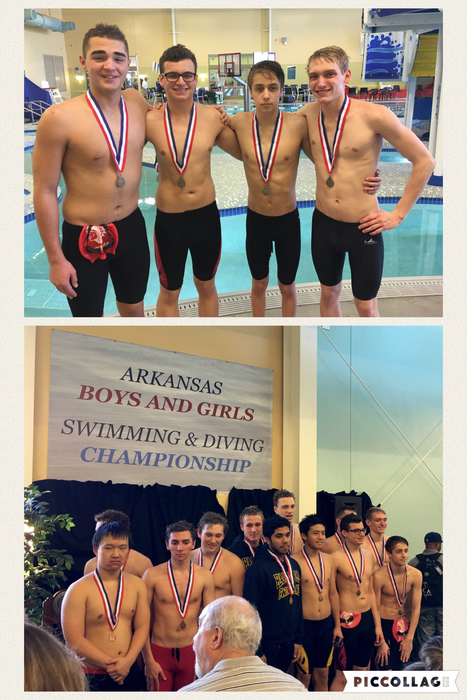 Third place finish in the 1A-5A division of the state meet in the 200M medley relay! Both our Girls & Boys basketball teams will play Wednesday night in the 4A East Regional at Riverview. 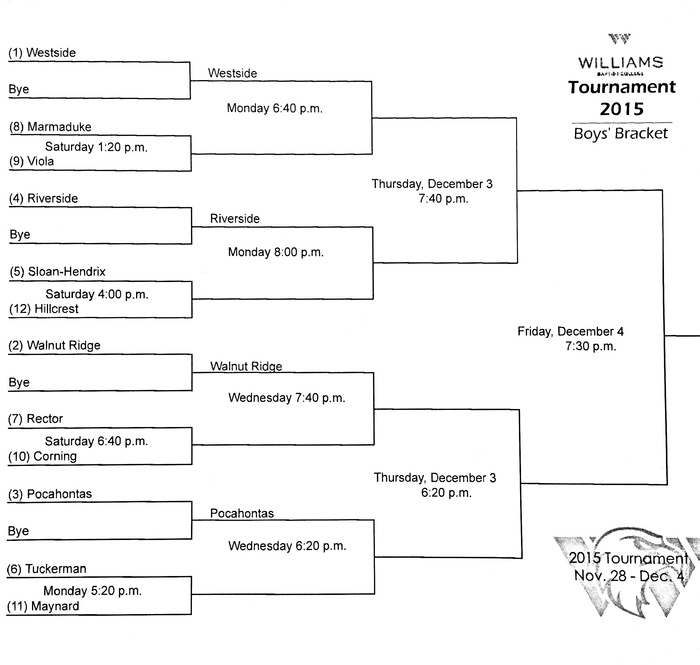 Boys will play Riverview at 5:30 PM & Girls will play CAC at 7:00 PM. Good luck to both! Our Lady Skins advance to Friday night's 3-4A final with a 39-31 win over Harrisburg this afternoon. Good Luck to our Skins & Lady Skins in tonight's 3-4A Dist. Tourn. 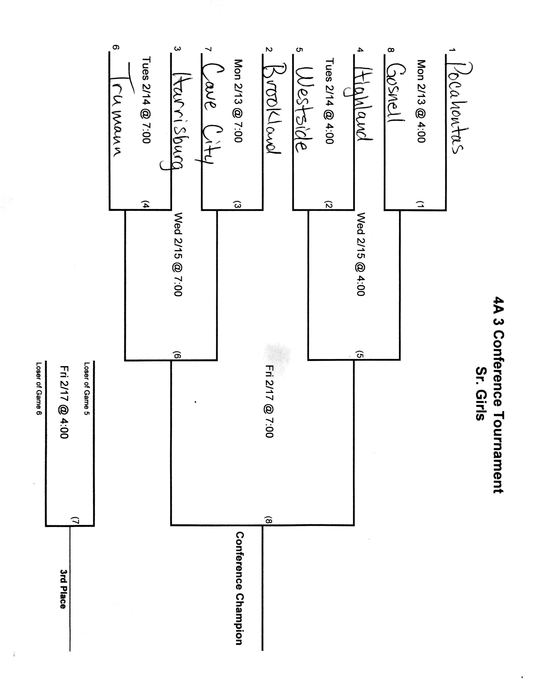 semi-finals at Gosnell! Lady Skins vs Harrisburg @ 4 PM and Skins vs Westside at 5:30 PM. Our Sr. Lady Skins will play Riverside, at home, tonight at 6 PM. Hope to have a big crowd for the last game of the regular season. Pocahontas Schools will be closed, Thursday, Jan 21 due to a number of bus routes that continue to have a significant amount of icing. 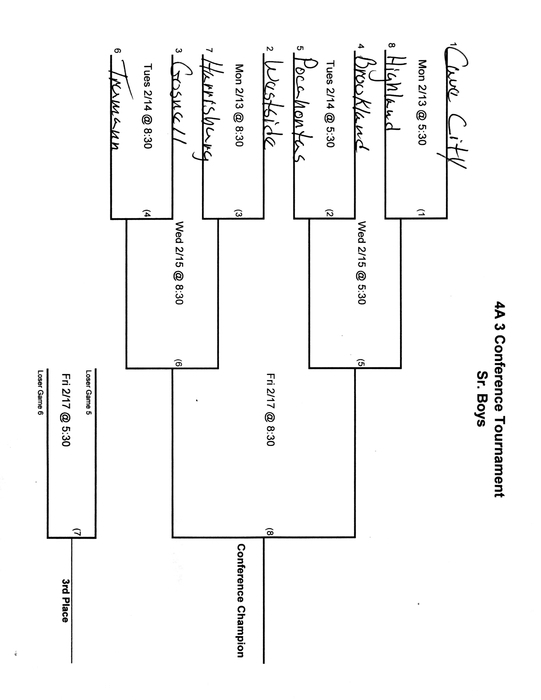 Attached are brackets for this year's WBC Tournament. 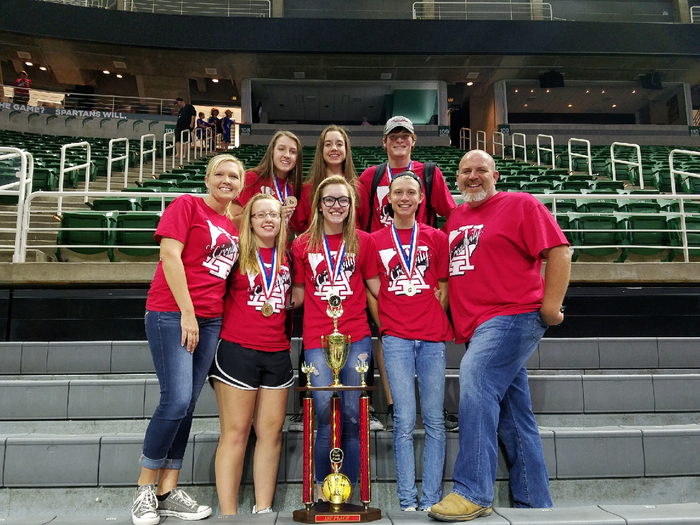 Coach Jackson's 8th Grade Science classes visited Arkansas State University for the STEM Science Fair. 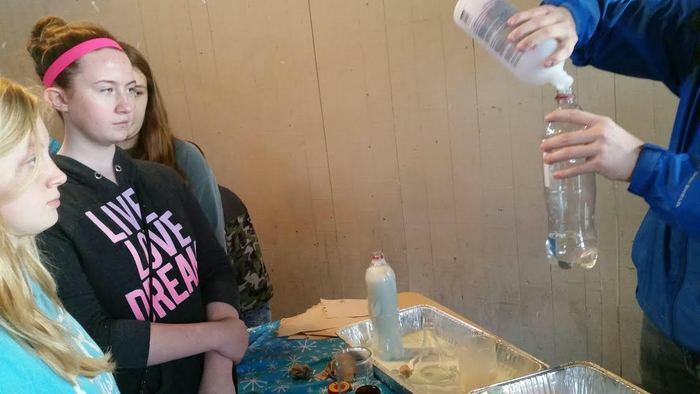 It was a great opportunity for students to get new hands on experiences. 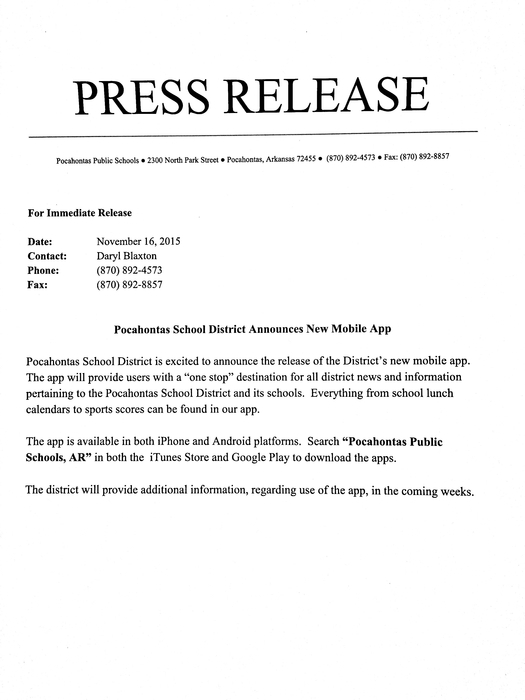 Pocahontas School District announces release of District app! Looking forward to seeing a large crowd Friday night in support of our Skins! Come enjoy some great football! Today's junior high track meet is still planned, as scheduled. 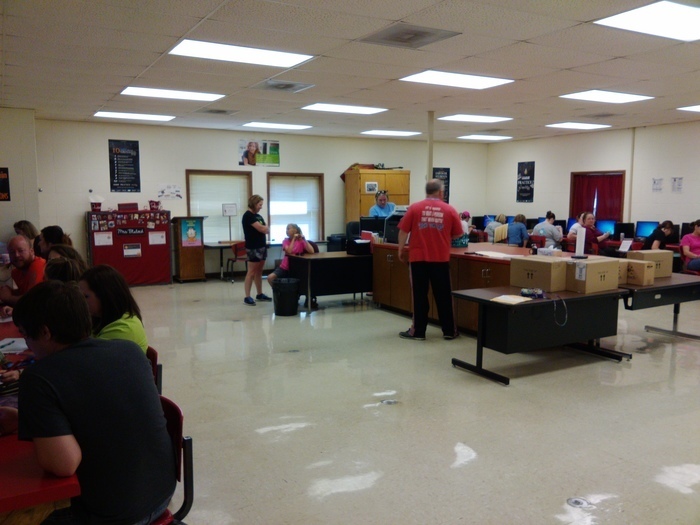 Our 5th and 7th grade students are taking the PARCC assessment in science this morning.